This is just a brief article of the basic tools that Wagner Window Service uses when we clean gutters. Just the simple stuff that makes our job easy. First off we like to put either drill hooks or caribiner on both sides of our belts. This holds the five gallon buckets that we hand scoop the debris into. We keep one on each side so that when we are up on the ladder and scooping debris out of the gutter, it eliminates a lot of twisting. If we are scooping the gutter from the left side, we have a bucket on our left and if we are scooping the right there is one on the right. My personal favorite is the caribiner because it pretty much locks the buckets to your sides. My crew seems to prefer the drill hooks a little better as they are a little easier to take the buckets off and dump your debris. 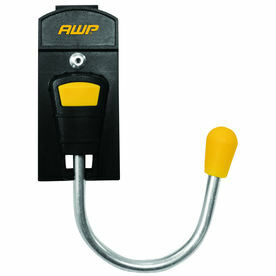 I don’t like the hooks as much because as you climb the ladder its easy to kick the bucket off. Next we use these gutter scoops that we purchase from Window Cleaning Resource where we purchase most of our supplies. This scoop is probably the most important tool that we use. It allows for an extension pole to screw on to it which lets you reach debris much further than you could if you were trying to do it just by hand. The length of your pole can be as long as you desire but we have found that the most efficient for us is a 4 foot pole. It can get difficult to reach much further than that because of the placement of gutter hangers. A 4 foot pole doesn’t sound like it would be much of a reach but it enables you to reach a total of 10-12 feet total. 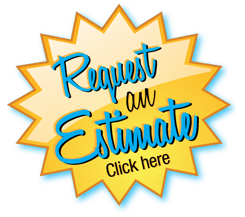 That’s important to us because the more debris we can remove from the gutter at a time and that means that we aren’t moving the ladder as much. Each time you move the ladder and climb it you put yourself at a little more risk and you are spending more time working. And then finally the gloves that we use. We pick up a bunch of these. They are available at either Lowes or Home Depot. They come in 5 packs and cost about $5, so a $1 per pair. Can’t go wrong with that. The palms are dipped in nitrile and give your hands a little more protection. If you think about it you are putting your hands in a cup made of sheet metal that has screws sticking out of it. With the potential for cuts and the very nasty debris that you can find up there, I find it important to help protect both mine and my employees hands from cuts and infection. During the colder months we put nitrile gloves on underneath. Standard latex gloves tend to tear on my but I have large hands. 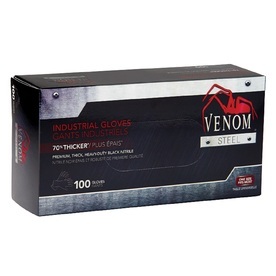 Our favorite are Venom gloves from Lowes. Doesn’t seem like they would do too much against the cold but when you have to stick your hands in cold water, it really helps when your hands are dry. Cold dry hands are a world apart from cold wet hands, and when you spend 10 hours a day it really means a lot. Each crew has a couple Brute trash cans to dump the debris in when they climb down the ladder. This saves trips back and forth to the truck or out to the woods. We started with the cheaper trash cans because.. well, the price. 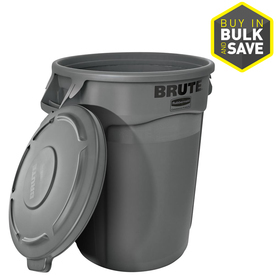 Brute trash cans were built to last and will last for years to come. Invest the money upfront, its not much and you will save money in the long run. Finally, the debris. What do you do with it? Some customers don’t mind you tossing the debris into the woods. After all that’s where it would have ended up anyway. Personally I like to bring it home and mix it with my compost pile which ultimately ends up in my garden. This article was ultimately written for other professionals and people looking to learn the process. Safety is most important and if you are not trained how to use or ladder and you are unfamiliar with ladder safety you should hire a professional. Your life is not worth cleaning leaves from the gutter.